We had stopped at the Olsen house in Cushing, Maine, where Andrew Wyeth painted Christina's World. As I was wandering the grounds, an elderly woman fell down on the grass in front of the house, momentarily recreating the scene in the painting. It was a very spooky moment, to me. To my credit, I think, I ran to help and did not take a photo until later when she was safely seated on a chair waiting for a friend to drive her home. I took the photo so I could compare it to the painting. 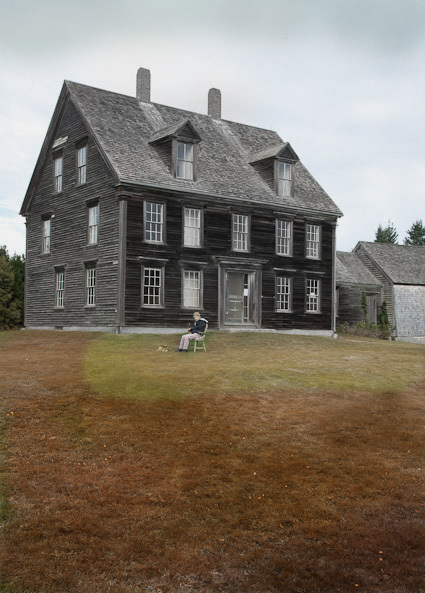 And I could not help altering the colors to get closer to the color in the Wyeth. 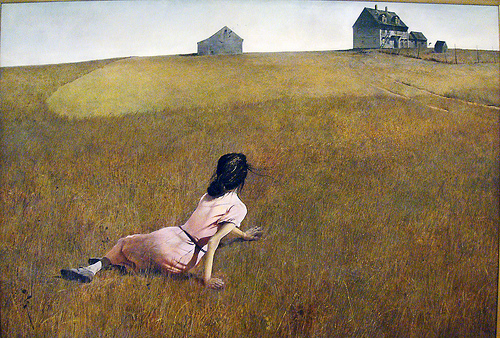 With apologies to Andrew Wyeth and art lovers everywhere.